Ms Lucy Hicklin is a consultant ENT surgeon with a special interest in voice disorders and Dr Marie-Helene Marion is a consultant neurologist with a special interest in Botox treatment. They provide a joint ENT- Neuro service which is unique in London. This multidisciplinary clinic allows patients to be assessed and, when required, to be treated with Botox injections for voice disorders, speech difficulties, swallowing difficulties and other spasmodic conditions affecting the head and neck. Ms Hicklin and Dr Marion are both leading UK specialists in Botox treatment for neck and laryngeal muscle spasms, and in particular for Spasmodic Dysphonia. They have been working together for 10 years at St George’s Hospital and have presented their work at National and International meetings. Dr Marion is a member of the Movement Disorders Society and the chair of the British Neurotoxin Network. 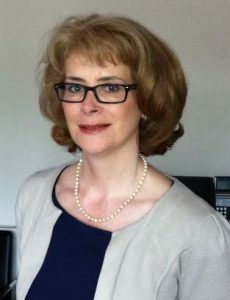 Ms Hicklin is a member of the British Laryngology Association and a member of the British Voice Association. About 80% of patients have Adductor spasmodic dysphonia. The voice is strained and strangled due to spasm of the muscles closing the vocal cords when the person tries to speak. Abductor spasmodic dysphonia is much rarer, causing a very breathy voice and difficulties getting the words out. Botox injections into the vocal cord muscles are the most effective treatment of all types of laryngeal dystonia. This condition is also known as Dysphagia. It is caused by spasm in the muscle at the top of the gullet called cricopharyngeus. It is most common in completely healthy patients with no other medical problems, but some patients will have an underlying medical condition such as acid reflux and, rarely, a neurological condition. For most patients there is a feeling of pressure in the throat at about the level of the Adams apple; this is also known as Globus sensation. In the majority of cases there is no change in the ability to eat, but when the condition gets extreme the patient can no longer eat a normal diet and may then lose weight. If the swallowing is badly affected a botox injection can be very helpful. In cases of Adductor spasmodic dysphonia, an injection is given through the skin of the neck just below the Adams apple. We know the needle is in the right place by using an EMG machine – this is a device that picks up the signals from the muscle when the needle is in it. We will ask you to make an “aah” sound when we think the needle is in the right place and the tracing on the screen confirms we are correctly positioned. The Botox injection is given through the same needle. The whole process normally takes only a couple of minutes and is about the same discomfort as having a blood test. We don’t generally need to use any anaesthetic. If you have Abductor spasmodic dysphonia, the injection is done just behind the Adams apple and we will ask you to sniff hard to check the position of the needle on the EMG before injecting. For the treatment of Dysphagia, the injection is given through the skin of the neck behind the voice box. We know the needle is in the right place by using an EMG machine. We will ask you to take a sip of water. As the water goes down the muscle activates and this shows up on the EMG machine so we know we are in the correct place. The injection normally starts to take effect after a day or so. Some patients may have some difficulty with swallowing, particularly liquids. This is usually only for a few days and can be managed with some very simple techniques. Adductor spasmodic dysphonia – The voice will become much smoother and less effortful and the improvement will last 3 to 6 months on average. Abductor spasmodic dystonia – In some patients, in the first few days or weeks, the voice is a bit quiet and breathy, but this gets better with time. Dysphagia – After a few days the muscle will relax and swallowing improves. Most patients get back to a normal diet and are able to eat nearly all foods following the injection. As time goes by we can establish a dose that exactly suits each patient to reduce side effects.